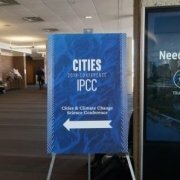 The Cities Change Climate Conference at the Shaw Conference Centre in Edmonton March 5-7th is now over. To view our presentation and displays featured at our exhibit see below. Read about Alberta Solutions to Climate Change Challenges. 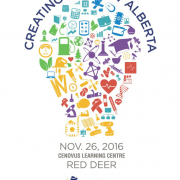 Alberta is defined by its pioneering spirit where innovative entrepreneurs created things that had not existed before. This presentation will focus on our next generation of innovators who are creating the new Alberta by building on our foundations to create an economy based on the emerging Fourth Industrial Revolution. Klaas Rodenburg is the volunteer President of the Alberta Council of Technologies Society and a member of the City of Edmonton Energy Transition Advisory Committee. He has a Bachelor of Arts Degree with a Major in Industrial Design (1984) and a Master of Arts in Communication and Technology (2009) both from the University of Alberta. Klaas has been a Certified Technician (C.Tech.) for more than 30-years and a LEED Accredited Professional (LEED AP) since 2002. Oil Wells as A Source of Electricity. John Redfern is a serial entrepreneur with a broad management background. After an international career straddling oil companies (Director – Hess, London) and oil service companies (President – IHS Energy, Denver / President – Accumap, Calgary), John ran his own startups and consulting businesses out of China for over a decade. In these roles, John has become an expert investor, adviser and company broker in the data analytics, oil service and energy tech verticals. Specialties include team building, commercial strategy, negotiations, alliancing, M&A and private equity for start-ups, turnaround situations and industries undergoing rapid change. John holds Engineering Physics (Queen’s), Law (McGill) and Business degrees (INSEAD). Donna Mandau is the Founder, President and CEO of Graphene Leaders Canada, an internationally recognized graphene development and application solutions company. Donna has more than 25 years of corporate business experience in executive management, senior leadership, finance, operations, and business development for private and public companies. Donna holds a B.A. 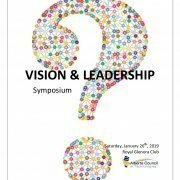 from University of Alberta and is currently completing her MBA in Executive Business Management. Graphene Leaders Canada was founded in 2013 and Donna brings strategic direction and vision to the organization and offers business management, governance and investor relations expertise. overseeing all projects at GLC. Allan Offenberger is Professor Emeritus of Electrical & Computer Engineering at the University of Alberta. He received his B.A.Sc. and M.A.Sc. degrees (1962, 1963) from the University of British Columbia and Ph.D. degree (1968) from the Massachusetts Institute of Technology. His research program for more than 40 years was focused on the development of high power lasers and their application to inertial fusion energy research. He has published extensively and given many invited talks at international conferences, universities, government and industrial laboratories as well as to service and other non-governmental organizations in Asia, Europe and North America.Fusion – The Energy of the Future. Professor Allan Offenberger, President of the Alberta/Canada Fusion Technology Alliance will talk about how Fusion is poised to be the energy of the future as it emerges from laboratory development to system implementation; highlighting Alberta planning to develop key enabling technologies and participate in building an international demonstration plant. 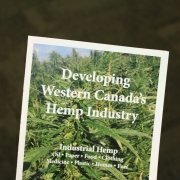 He is a Past President of the Canadian Association of Physicists and has served on many scientific advisory & research grant committees and boards, as a consultant to university, government & industrial institutions and, as a reviewer for research proposals, publications, university appointments & promotions. Allan has been a guest professor and consultant at, among others: UK Atomic Energy Agency-Culham Laboratory; University of California-Los Alamos National Laboratory; Oxford University-Rutherford Appleton Laboratory; University of California-Lawrence Livermore National Laboratory and; Osaka University-Institute of Laser Engineering (major labs for fusion energy R&D). Allan is President of the Alberta/Canada Fusion Technology Alliance – a non-profit society formed to promote development of fusion technologies. The Alberta Council of Technologies (ABCtech) has partnered with Lightsculpture Design to tell your story effectively. The partners are developing a multimedia display showcasing Alberta solutions to global climate change challenges.